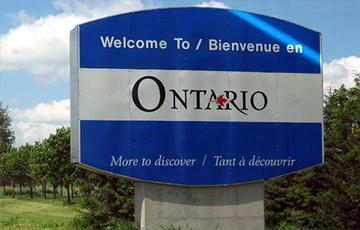 Has Ontario decided against online gambling? If you’ve been following along with the online gambling situation in Canada, you know that the landscape north of the 49th parallel is a lot more player-friendly. Not only do online casinos operate out of there, including Amaya Gaming, which recently purchased PokerStars (they continue to operate in Canada, for the record). But Canadians have no problem logging on to online casinos and poker sites around the world. If you’re in Canada, making an online gambling deposit is relatively easy. Visa and MasterCard are welcome pretty much anywhere. And at some sites you might even be able to use Interac to fund your account. That’s in stark contrast to the United States, where deposits are often a hassle (though at Silver Oak we’ve made it relatively simple). Bottom line? The government hasn’t banned online gambling. In fact, while the US has attempted to shut out online gambling sites and create state-regulated casinos, Canada has taken an “if you can’t beat them, join them” approach. Take New Jersey. They’ve regulated the online gambling market, making it legal for land-based casinos to offer games to New Jersey residents through the Internet. If you’re not a land-based casino, you can’t get a license in New Jersey. Lots of offshore gambling sites serve the regulated market because they’re licensed in legal gambling jurisdictions, but New Jersey only values the regulated sites. In Canada, on the other hand, the provinces haven’t attempted to shut out the offshore sites. British Columbia, for example, has their PlayNow.com website where BC residents can enjoy poker and casino games. They market themselves as legal and regulated, highlighting that your money is safe and secure and that you can trust them because they’re the government (though that’s a debate for another day). But the government hasn’t attempted to shut down the offshore sites. And while Quebec and Manitoba have similar sites servicing their residents, Ontario residents have been waiting years to see their own online casino and poker site come to fruition. Will Ontario go all-in or fold? So what’s happening in Ontario? Well, a couple of years ago, the provincial government announced plans to modernize the whole gambling experience in Ontario. That means creating new land-based casinos. And it all also meant putting together an online portal where casino players and poker fans can ante up online against other Ontario residents. But that was under the leadership of the old premier, Dalton McGuinty. Kathleen Wynne is now in power and she might not have the same modernization plan in mind as Dalton did. The Ontario Lottery and Gaming Corporation does have their own online gambling website, PlayOLG.ca. But the site is only an informational portal, letting players know that online casino games are coming. They also have a blog, which was last updated in April. That’s almost four months ago. Either everyone is hard at work putting the finishing touches on an Ontario online casino launch. Or we’re looking at typical government speed (or lack thereof). Or perhaps PlayNow.ca won’t actually launch in 2014 as promised. We could be looking at a 2015 launch – or perhaps not at all. This is a story we’re definitely following. We’ll keep you updated with any developments as they pop up.